Schafer Corporation, a scientific, engineering and operational support organization providing high-end technical solutions to mission critical challenges, appoints John M. Gilligan President and Chief Operating Officer. Mr. Gilligan has more than 25 years of managerial experience in leading large organizations with expertise in business strategy, organizational innovation, program implantation, and cyber security. In his new role, Mr. Gilligan will oversee day-to-day operations as well as help guide achievement of the growth objectives for the company. He will also participate as a key member of the executive management team in setting the strategic direction and goals for the Company and in communicating these to employees, customers and the board. Prior to assuming this position, Mr. Gilligan was President of Gilligan Group, a Virginia based IT and cyber consulting firm. He also was a senior vice president and director, Defense Sector, at SRA International, Inc. Mr. Gilligan has served as the chief information officer for the United States Air Force and the U.S. Department of Energy and was program executive officer (PEO) for battle management and command and control for the Air Force. Mr. Gilligan was a member of the Cyber Security Commission (formed to advise the 44th President) and an advisor to the Office of the Secretary of Defense on IT reform. Mr. Gilligan served on the Obama-Biden Transition Team focusing on IT within the DoD and Intelligence Communities. He serves as Chairman of the boards of directors for the Center for Internet Security, Cyber Griffin Inc., and HDT Global, Inc. 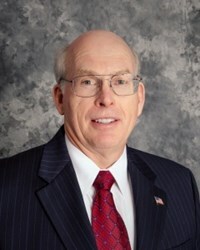 He is also on the boards of Schafer Corporation, the Software Engineering Institute, and the Armed Forces Communications and Electronics Association. Mr. Gilligan has been a recipient of the Joint Chiefs of Staff Distinguished Civilian Service Medal, Distinguished Executive Presidential Rank Award, Meritorious Executive Presidential Rank Award, and Computerworld’s Premier 100 IT Leaders to name a few. He earned an M.S.E. in Computer Engineering from Case Western Reserve University and an M.B.A. in finance from Virginia Tech University. Schafer Corporation is a provider of scientific, engineering, and technical services and products applied to defeating national security threats. The Company has a national footprint supporting mission-critical programs for customers including the US Air Force, US Army, US Navy, Defense Advanced Research Projects Agency (DARPA), Missile Defense Agency (MDA), United States Transportation Command (USTRANSCOM), National Aeronautics & Space Administration (NASA), Department of Homeland Security (DHS), and National Security Agency (NSA). The Company has been widely recognized for its technical expertise and ability to provide objective analysis that leads to the development of innovative, problem-solving solutions. For more information, please visit http://www.schafercorp.com. Metalmark Capital is a leading private equity firm whose principals have a long track record of successful investing in targeted sectors, with particular focus and competence in energy/natural resources, industrials, healthcare, and defense/government services. Metalmark Capital seeks to build long-term value through active and supportive partnerships with the companies and management teams in which it invests. Metalmark Capital, which is an investment center of Citi Capital Advisors, is currently investing its latest fund with $ 2.5 billion of committed capital. For more information, please visit http://www.metalmarkcapital.com.